Mirella Murray currently plays with ‘Cherish the Ladies’. She grew up in Claddaghduff, near Clifden, on the north west coast of Connemara. Her father John Joe, a notable sean nós dancer, comes from Inishark Island and has a deep understanding of, and love for, traditional music. 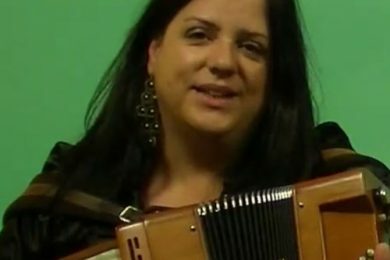 Mirella learned the piano accordion from Mary Finn, herself a great player from the musical Finn family of Ballymote, Co. Sligo. She met up with fiddler Liz Kane from Letterfrack, and they played and learned a lot of their music together going through the Fleadh Cheoil competitions. 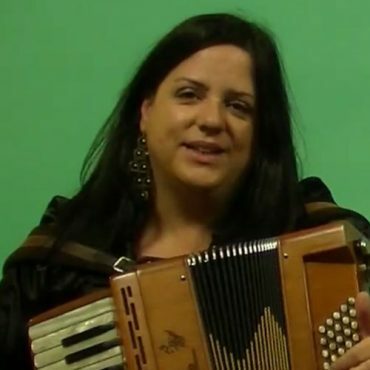 They won the All-Ireland duet in 1995, while Mirella gained the title on the piano accordion that same year. The pair performed together for years and toured in France and in North America with Comhaltas. They formed the Hydledoodles, a short-lived band which featured at the Fiddle and Accordion festival in Shetland and returned to the Folk Festival there the following year. Later Mirella teamed up with the great fiddle player Tola Custy (another OAIM tutor) from Co. Clare, and the pair played all over Ireland and Europe on various tours and festivals. After many years of being coaxed by people they went on to make an album “Three Sunsets” which has received many rave review and was voted top five albums of 2002 by The Irish Times, they were one of the nominee’s as ‘Best Newcomers’ by the Irish Music Magazine in 2003. Mirella has also toured Austria with the Bumblebees; performed with harper Laoise Kelly at the International Women’s Day Festival in Moscow; featured in the Galway Arts Festival 2001, 2002 and 2003 with Laoise and young fiddler Michelle O’Brien; toured with various line-ups in Scandinavia, Switzerland, Spain and France; and also recorded with Laoise on the Geantraí Christmas Special 2001, TG4 (Irish language TV channel). From September to November 2002 Mirella joined up with the late Johnny Cunningham to perform in the theatrical production, “Peter & Wendy”, winner of two OBIE Awards which Johnny composed the music and lyrics for this adaptation of J.M. Barrie’s “Peter Pan”. Mirella also has a flair for teaching, and it is a credit to her musicianship that two of her pupils have gained All-Ireland titles. She has accumulated a vast store of tunes from her travels, and musicians such as Sharon Shannon, Lunasa and the Bumblebees credit her as a source for many uncommon melodies.